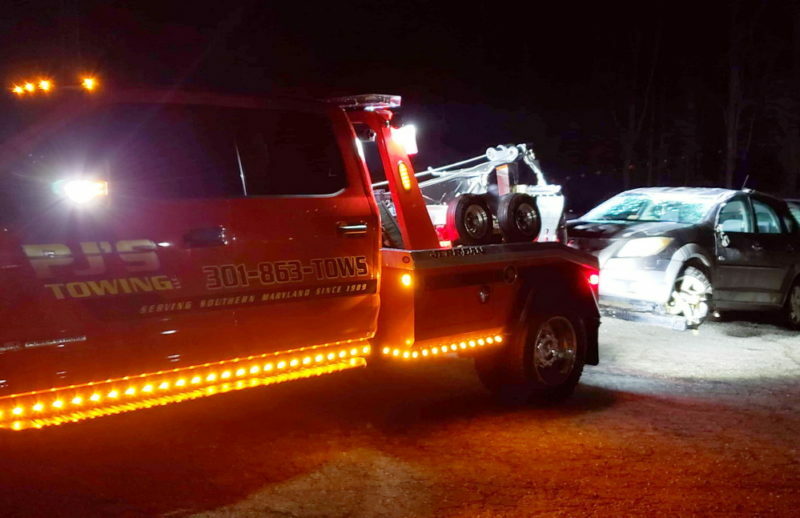 On Wednesday, February 5, 2019, at approximately 1:55 a.m., Trooper Michael Posch from the Maryland State Police Leonardtown Barrack attempted to conduct a traffic stop on a black Pontiac Vibe in the area of Norris Road and Chancellors Run Road, in Great Mils. The vehicle refused to stop and fled at a high speed on to Clipper Drive where it reached speeds of 50 MPH in a residential area. The vehicle ran a stop sign and continued on Chancellors Run Road. While on Chancellors Run Road, the fleeing vehicle passed another Trooper, who was on a traffic stop. The vehicle turned west on Great Mills Road without stopping, lost control and struck the concrete center median, which caused the vehicle to flip over onto its roof. 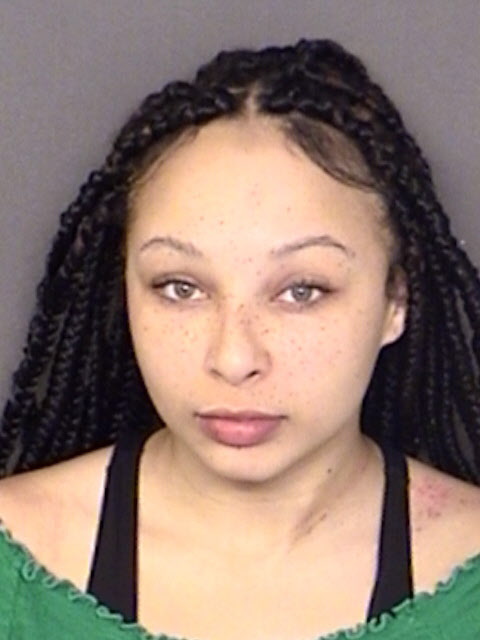 As Trooper Posch approached the vehicle he observed a female wearing a green shirt, black pants and braided hair exit the vehicle, she was later identified as Tatiana Nicole Young, 18 of Lexington Park. Young attempted to flee on foot but was apprehended after a short foot chase. Young immediately told troopers that she was not driving the vehicle. Troopers contacted the owner of the vehicle who advised Young and another female had taken the vehicle with her permission, and Tatiana Young was driving when they left. As a result of the accident, an ambulance was called to the scene, and Young was transported to MedStar St. Mary’s Hospital for further evaluation. While troopers were at the hospital waiting for Young to be medically cleared, she called a trooper into her room and admitted she was driving, and she ran because the passenger told her not to stop. After Young was medically cleared, she was released from the hospital and transported to the St. Mary’s County Detention and Rehabilitation Center where she was charged accordingly. This entry was posted on February 7, 2019 at 10:20 pm and is filed under All News, County, Fire & Rescue, Law Enforcement, More News, St. Mary's News, z 600X120 Top Ad Bottom, z Police Ad Top. You can follow any responses to this entry through the RSS 2.0 feed. Not according to her own admission. Just another POS who the rules don’t apply to. Why did she take all the charges? Check the bruise on her left shoulder indicating she was the driver at the time of the accident. Top notch work, Detective Taradies! Beautiful woman but she’s very dumb for doing that. Too bad the evidence and the confession show otherwise. If she is that easily persuaded to break the law showing total disregard for the safety of others on the road, officers, her passenger, and herself then she is going to have a tough and possibly short life. Driving on public roads is a privilege not a right. She should have that privilege revoked for 5 years to give her time to become a mature adult. A little time in the county clink would do her some good as well. Everything is a right!!!! Be smarter! She said she was the driver. Lock her up and throw away the key. This is the only way these people will learn…Don’t run from the law. I realize that sometimes people don’t use their best judgement, particularly teenagers. However, this is total and complete stupidity, youth is not an excuse. “Girl, you’re just simply dumb”!! She doesn’t have a license to drive at all, maybe they can implement a extended waiting period to apply for a license and make her take a class like people with licenses have to when they have excessive infractions / suspensions. She put her life, the life of her passenger, the lives of our police officers and every driver on the road and pedestrian nearby at risk, she deserves to go to jail in addition to the loss of her driving privileges for the next several years. Anyone who attempts to flee from the police in a motor vehicle or motor cycle should have their driving privileges revoked for a few years…..it might make these idiots think twice before trying to run which results in putting lives at risk. How many victims should a person create before they are supposed to do jail time in your world? With no punishment there is no accountability. Look at all the countries that don’t punish their criminals, they are all sh!t holes that nobody want to travel to. The apple don’t fall fall from the tree. I’m sure her snitching a** dad is proud. Was she released on an ROR? Well she ran than snitched on your friend in the passenger seat. What a pathetic loser. Let’s add some more charges…see Tatiana, they ain’t cutting you no break. Ooh is it true that she snitch ? Too bad she didn’t get one of those “First day on the job” Cops that haven’t seen 1000 people run, and 1000 people lie about it. “T”. you know damn well you weren’t driving the car. You sit back and take the rap for that piece of crap instead of letting him take his own charges. You are so stupid for doing that. Now you have messed your self up. I’m just here for the comments lol sadly I know of this girl. This isn’t her first time getting in trouble. Her cousin just got off juvenile probation.